In the fast-paced 21st century, many people are choosing to leave the corporate “world” to start their own businesses. And as entrepreneurs, they have also made the decision to hire virtual assistants (VA’s) to help them manage and run their businesses. That’s right – manage and RUN their businesses. To keep up with the needs of their clients, business owners have virtual assistants perform work and projects that is as cost and time efficient as possible. VA’s do this by training; learning new tools, procedures, and software. Several of the above professionals came from corporate or small “brick and mortar” businesses and have years of training prior to transitioning as business owners. Do you work with business planning software? What project management experience do you have? Do you know all of the programs under Microsoft Suite? Can you create well-designed PowerPoint presentations with graphics and numerical tables? Have you created product launches before? Can you create a WordPress website and manage it monthly? Do you ever blog online? Can you manage a team? Some additional things to also remember: You want the VA to be ready to work, but you should be ready to get started also, so (1) don’t hire until you are ready; (2) create a job description of the work you want them to perform – at least a checklist or action plan that can get them started; and (3) don’t just hire the first person you interview unless they have the experience and training necessary to perform the work well. While the term “virtual assistant” is a very broad term used in describing today’s virtual services professional, as you can see from the above list, the industry itself covers a lot of territory. Even lawyers, CFO’s, accountants, and others work virtually. It’s not where virtual professionals work from; it’s definitely what they know! It is clear that the virtual assistant industry has come a long way. VA’s are full-service business owners that can help you build your business and do so by their expertise and training. 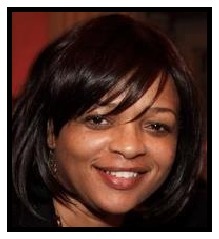 Eunice Joshua Clarke is Principal and CEO of The Executive Advantage Virtual, an operations consulting and office management firm that supports companies in business development, infrastructure, systems, processes and back-office support. With over 25 years of professional experience as a consultant, administrator, office manager and writer, Eunice decided to create the company, which was born from an idea she had many years ago. After speaking with employers who complained about contractors and employees being unreliable and not professional, Eunice wanted to do something to help repair the industry’s reputation by creating a high-quality remote business consulting and administrative services firm. Eunice and her team have the expertise and business solutions necessary to be a supportive, professional partner to companies. More information about The Executive Advantage Virtual can be found on her website: www.execadvantagevirtual.com.